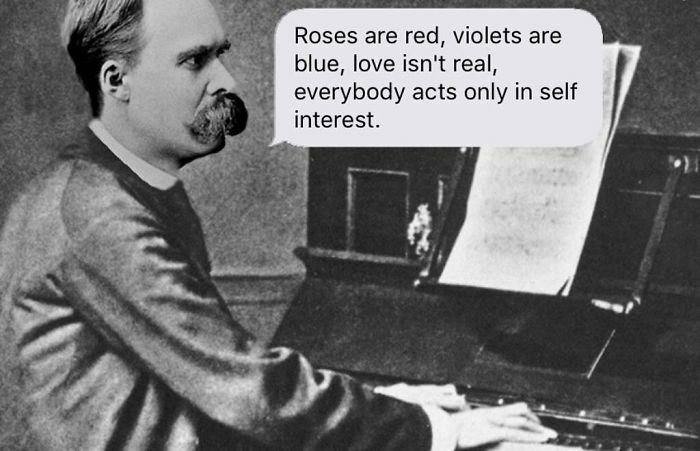 Ever since you’ve taken that introduction to Philosophy in college you can’t stop thinking what life is really all about. 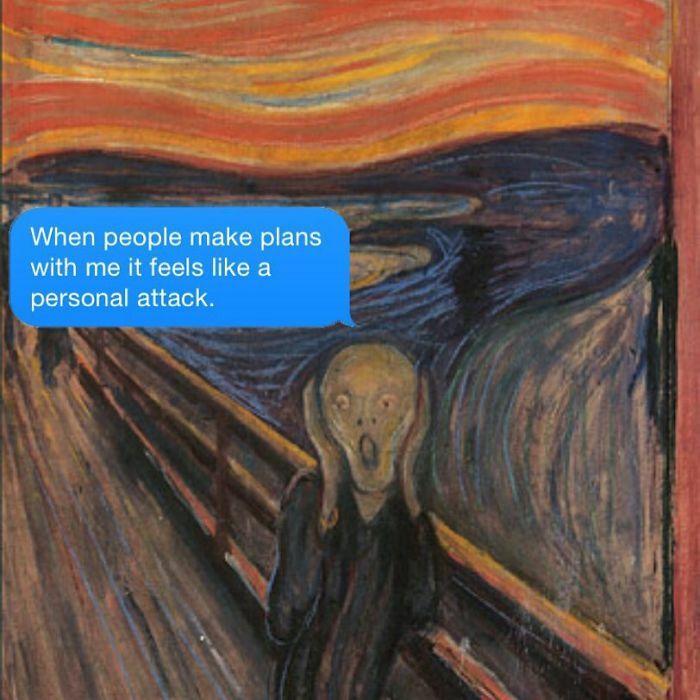 I feel you; the same thoughts attack me after I watch an episode of Bojack Horseman. 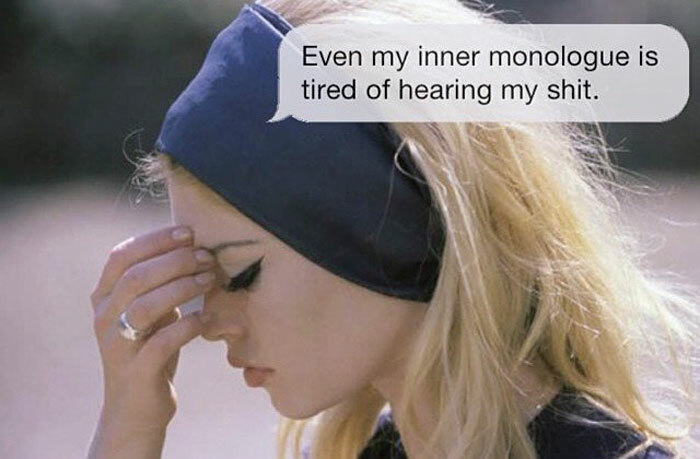 But there’s a way you can tame your inner void. 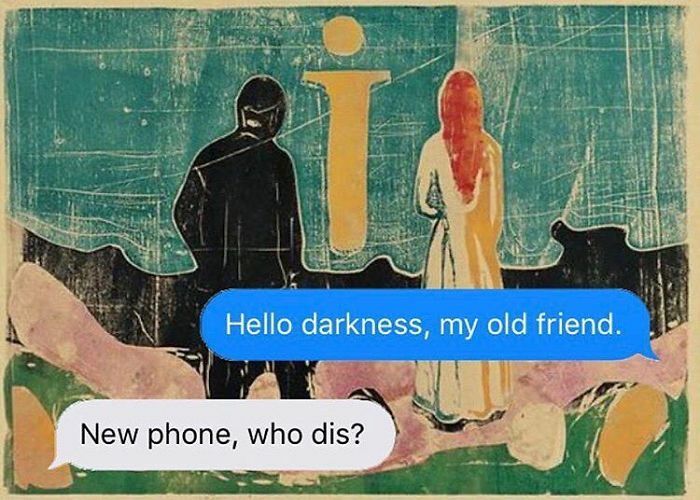 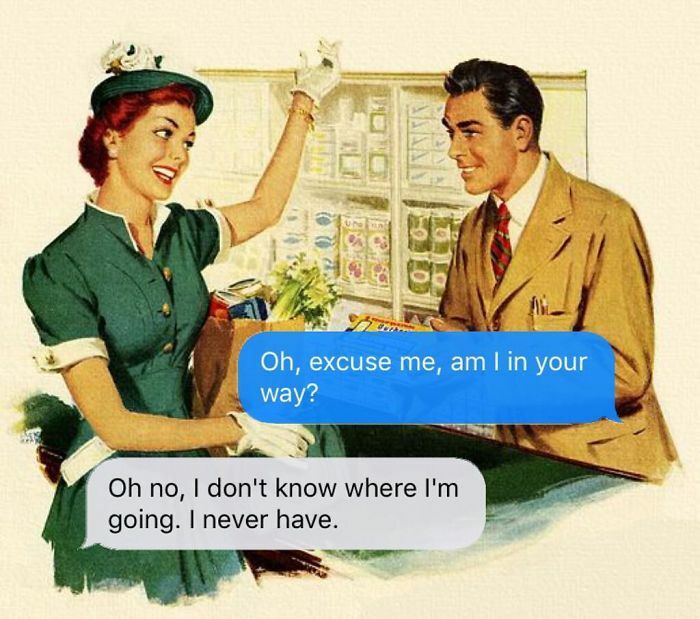 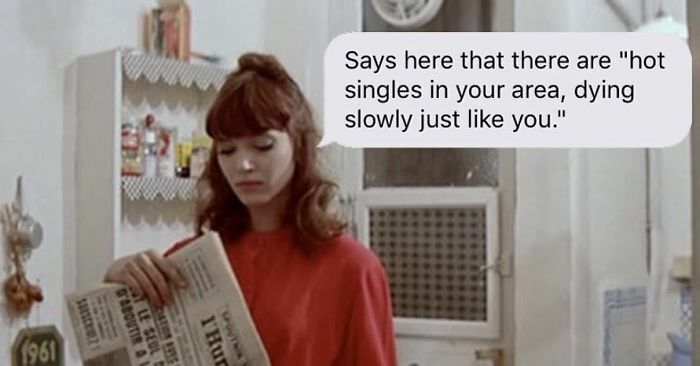 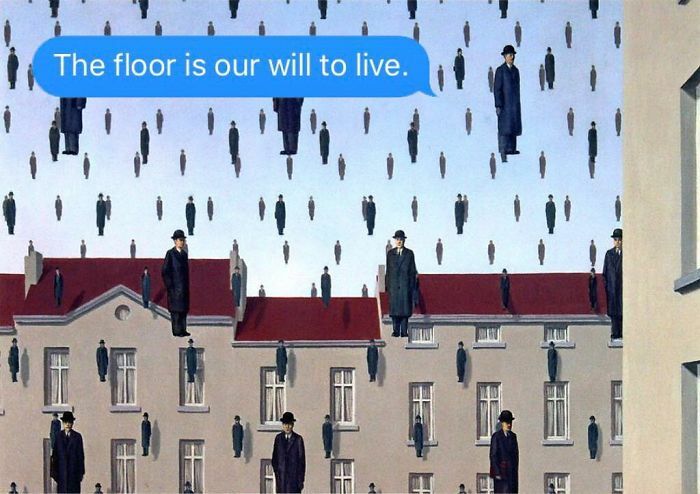 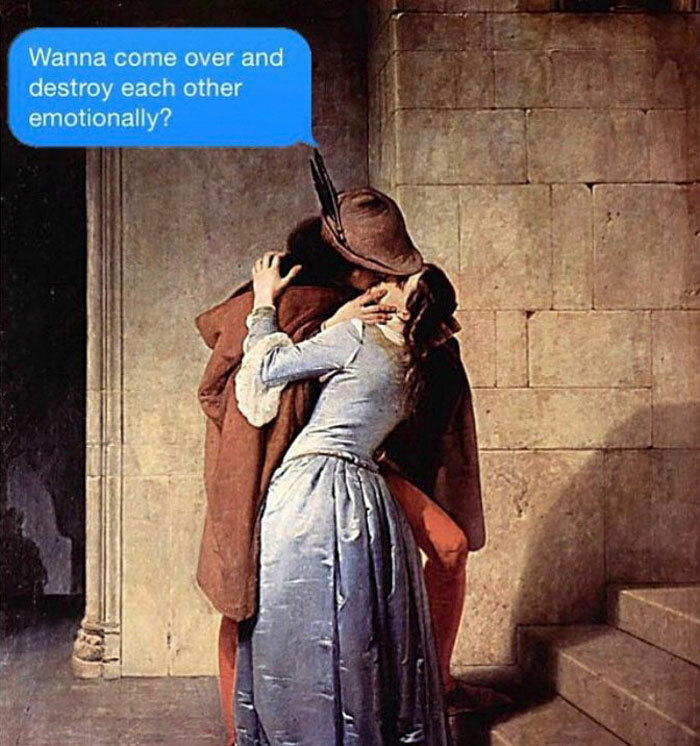 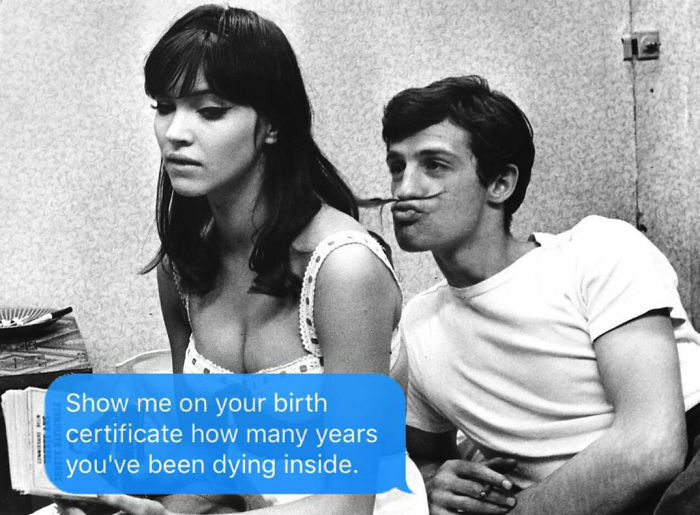 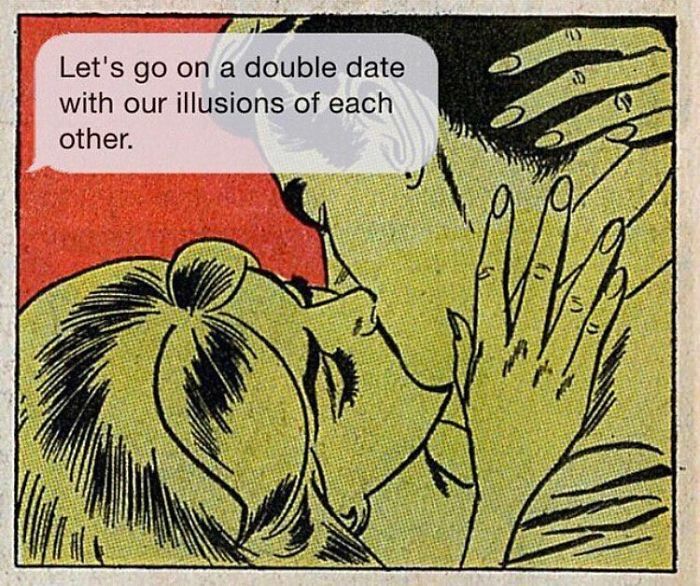 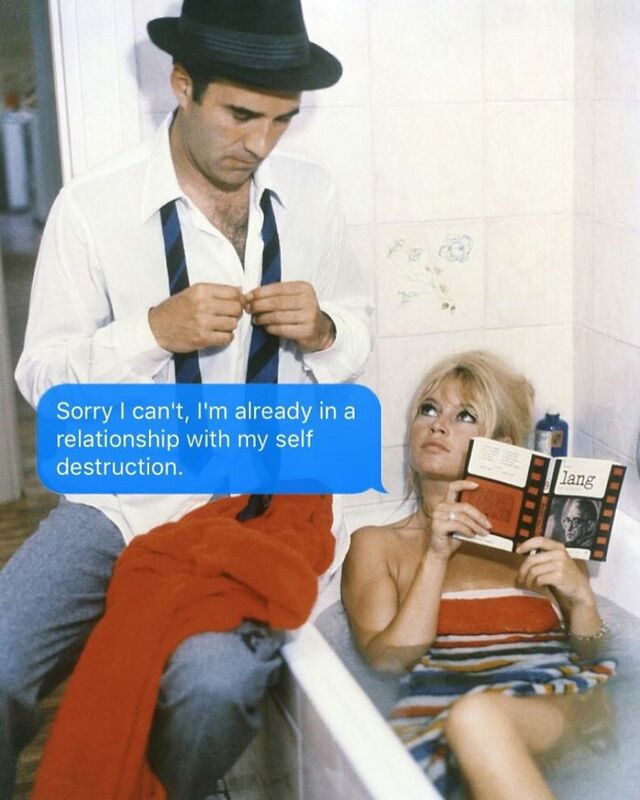 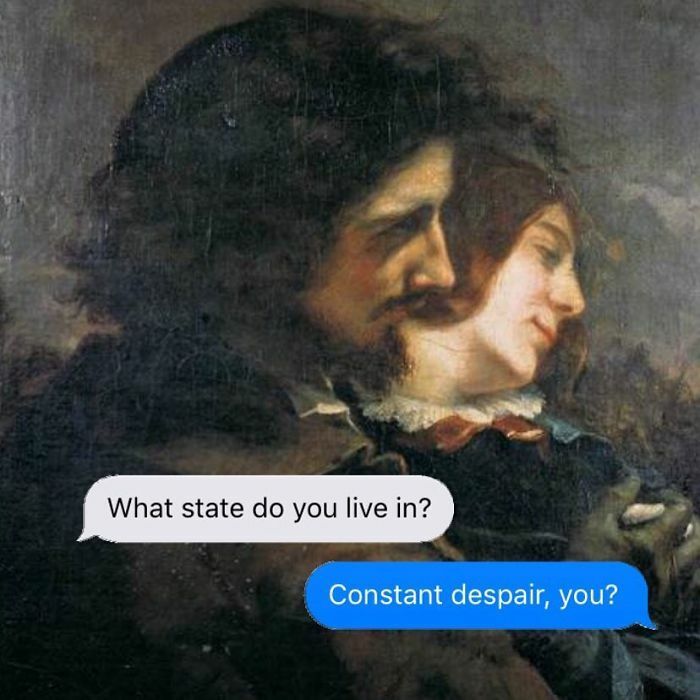 Instagram account ‘Texts From Your Existentialist’ totally knows where you’re coming from and is ready to help you cope with melancholy. 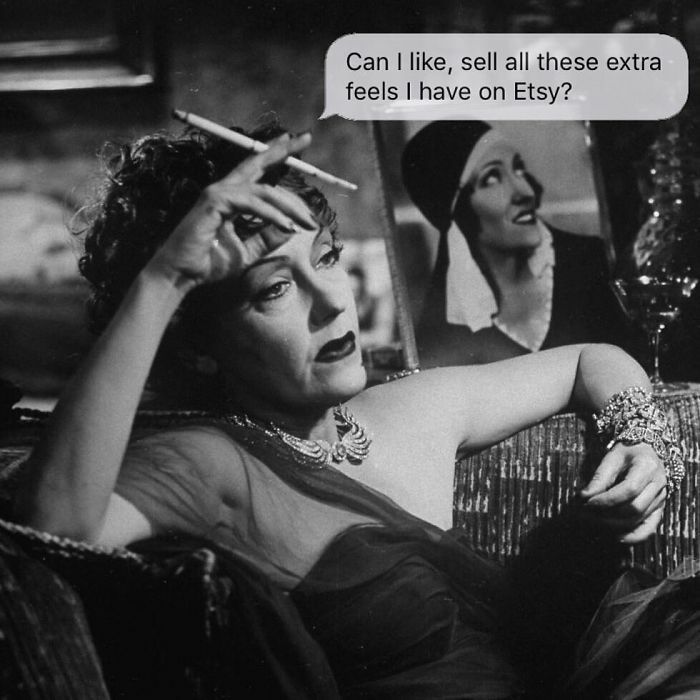 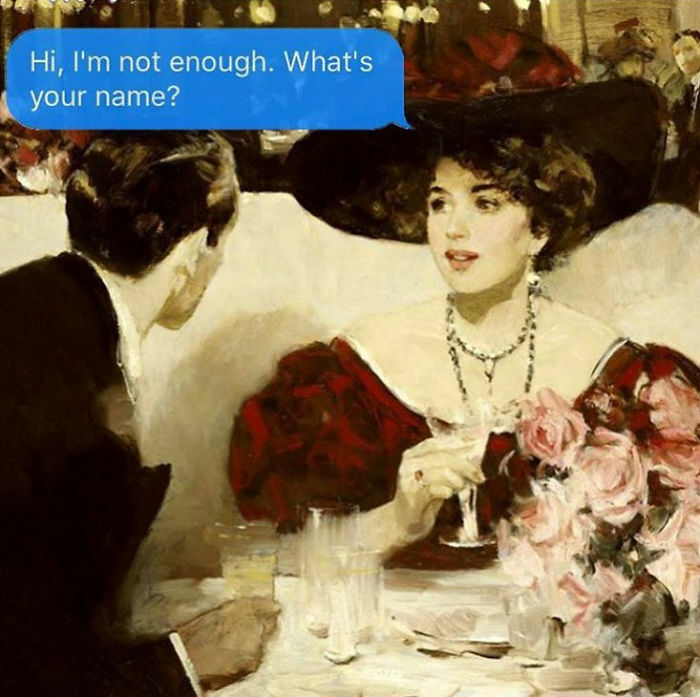 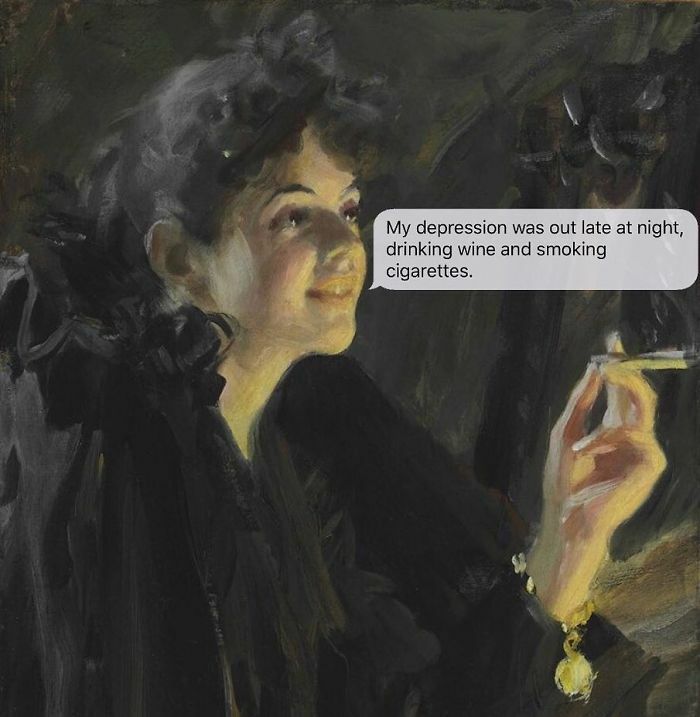 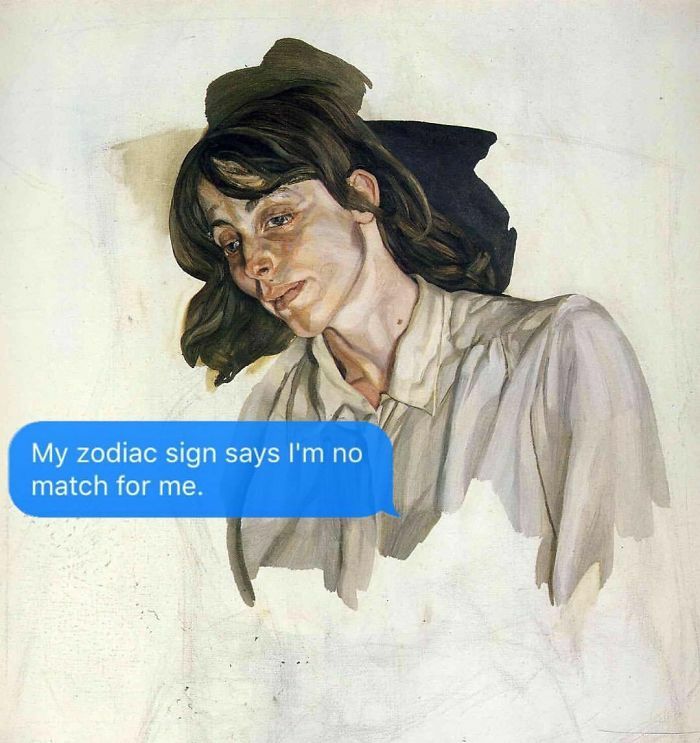 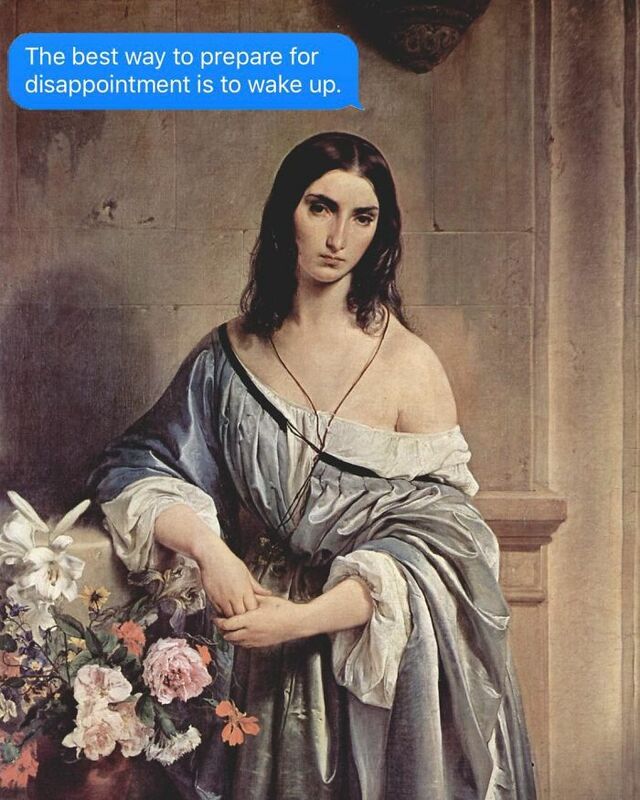 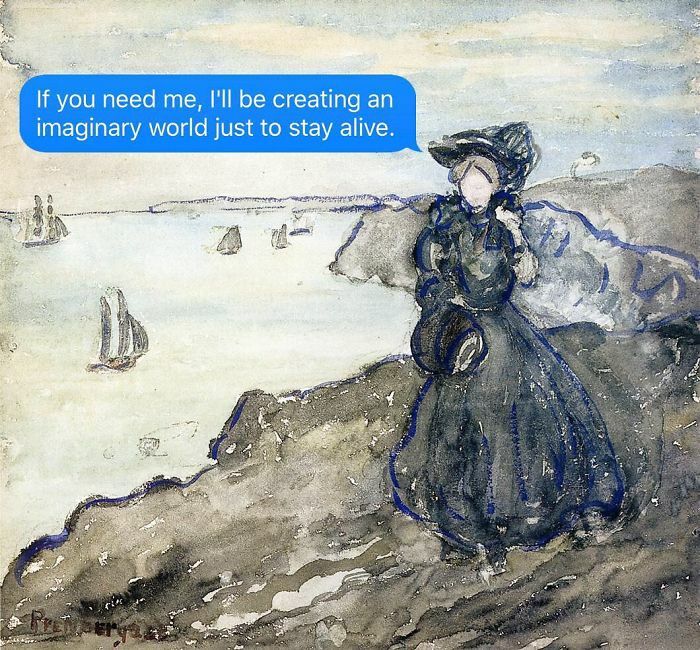 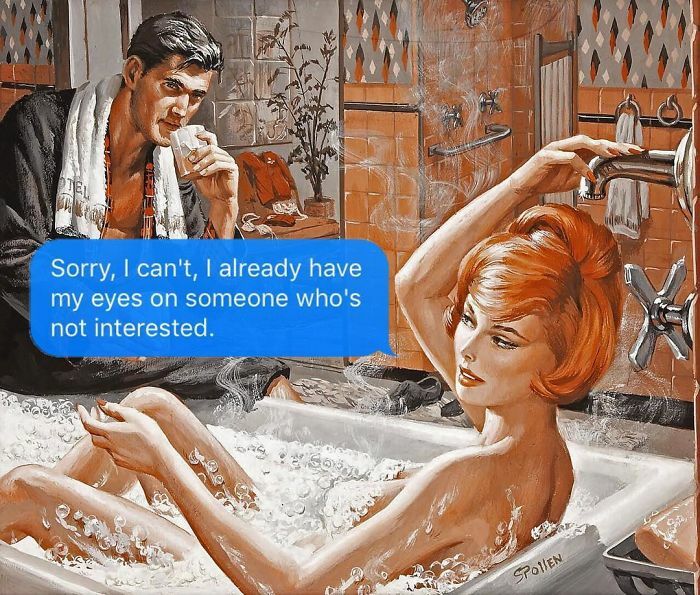 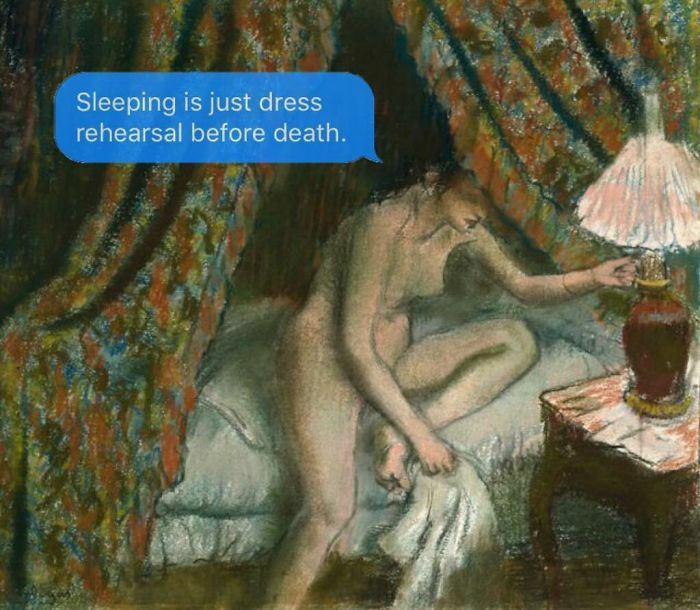 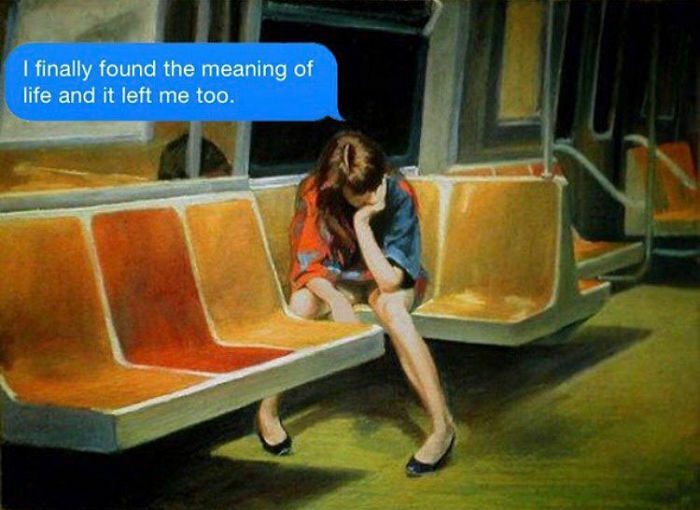 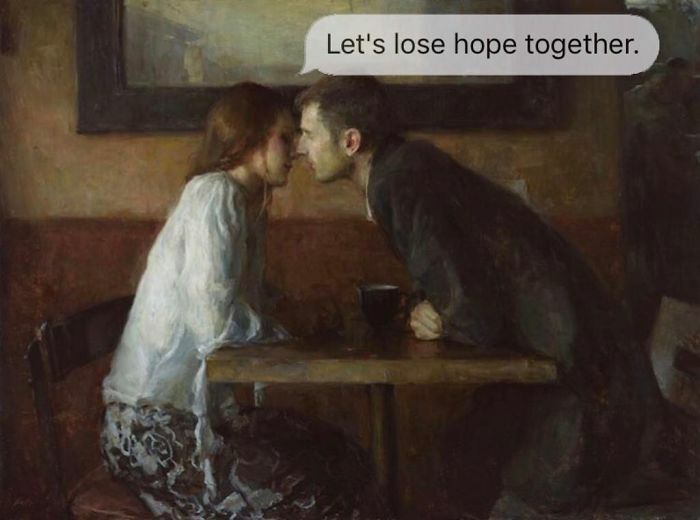 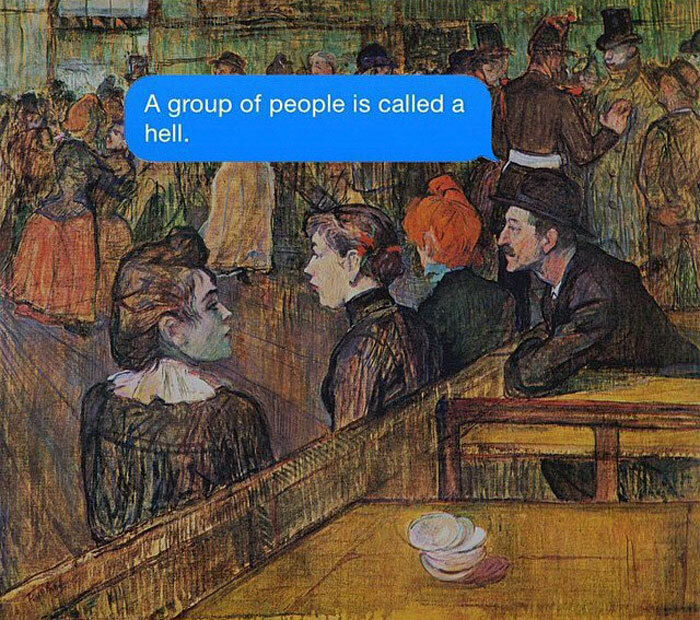 April Eileen Henry, a poet from sunny Los Angeles juxtaposes art – mainly, paintings and movie stills – with bleak philosophical text messages to “bring more messages that speak to the pity party line and the seldom spoken sadnesses of life.” Scroll down for your daily fix of harsh truth, and upvote your favorite images.